Correct. 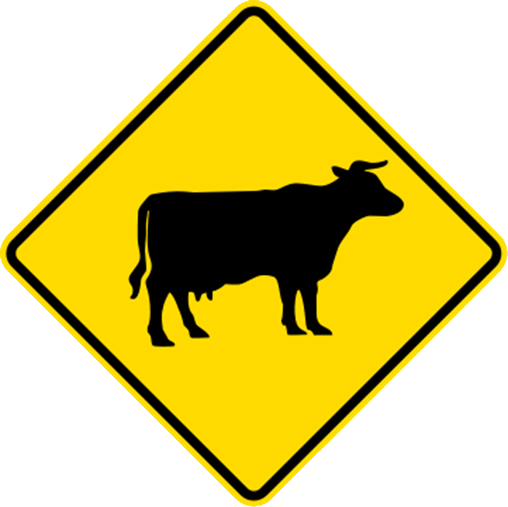 This sign warns you to watch for cattle that might be in the road or crossing in the road. If you come across a lone animal what is most likely to happen is that it will run up the road. This is because the animals blind spot is behind its head and it runs away from 'danger'. If it turns around it sees an object coming towards it. If it is one animal then a passenger can sometimes help move the animal off the road. 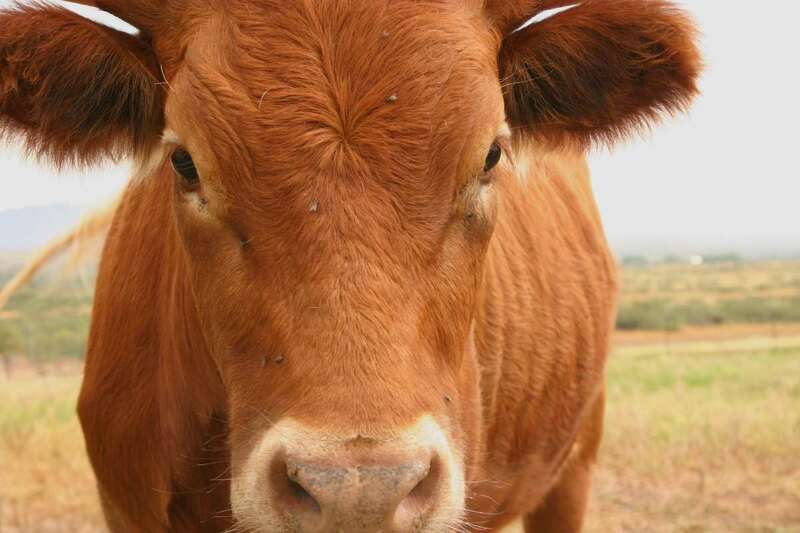 If you come across a cow or sheep on the road in the dark, the best way to encourage it to move is to turn your lights off and move slowly towards it. The animal will be able to see its way onto the very and will move out of the way. However, you need to be careful that another vehicle isn't coming which won't be able to see your vehicle. Anyone involved in moving stock should be wearing high-visiblity clothing so that can be easily seen by other motorists. On roads with bends a pilot vehicle with flashing amber beacon lights, and warning signs are used.